The rules applicable to securities in Portugal derive mainly from laws and regulations enacted by the Portuguese Securities Market Commission (CMVM). The main legal source applicable to securities in Portugal is the Securities Code, enacted by Decree-Law No. 486/99 of 13 November, as amended, which sets out the general legal framework applicable to securities, public offers, exchange markets, financial intermediation and supervision of capital markets. The legal framework under the Securities Code is complemented by the regulations and instructions issued by the CMVM pursuant to its regulatory powers. The CMVM also issues general ‘soft law’ instruments, such as recommendations and general opinion assessments, which, although lacking binding regulatory effect, offer guidance to market participants for the application and interpretation of the corresponding legal provisions. Specific legislation may apply to particular securities instruments and transactions (e.g., commercial paper, covered bonds). Other relevant legal instruments pertaining to the Portuguese securities markets include the Commercial Companies Code, enacted by Decree-Law No. 262/86 of 2 September, as amended; the Commercial Code, enacted by Letter of Law of 28 June 1888, as amended; the Credit Institutions and Financial Companies Framework enacted by Decree-Law No. 298/92 of 31 December, as amended; and the Civil Code, enacted by Decree-Law No. 47 344 of 25 November 1966, as amended. Securities enforcement actions in Portugal are generally brought by three authorities: the CMVM, the Bank of Portugal and the Public Prosecutor’s Office. The CMVM, under the supervision of the Ministry of Finance, is empowered to regulate, monitor and supervise the conduct of financial markets, issuers of securities and financial instruments and financial intermediaries, as well as to enforce the Securities Code and related regulations. The CMVM’s statutory framework is currently set forth in Decree-Law No. 473/99 of 8 November, as amended. In addition to the supervision of entities subject to its jurisdiction, the Securities Commission may issue regulations on matters covered by its duties and powers. The Bank of Portugal, as Portugal’s central bank, supervises and controls the banking sector, regulating and supervising all credit institutions and investment companies acting in the country. The Bank of Portugal also enforces the Credit Institutions and Financial Companies Framework and related regulations. Although the CMVM and the Bank of Portugal do not have the power to bring criminal charges, they nevertheless have extensive supervisory, regulatory and enforcement powers. In particular, they may initiate proceedings for administrative offences and impose penalties of up to €5 million (which can be raised up to a maximum of 10 per cent of the perpetrator’s turnover or to triple the economic benefit obtained) and severe ancillary sanctions. The Public Prosecutor’s Office has exclusive powers to bring criminal charges, regardless of the nature of the crimes. For instance, despite the existence of the CMVM, only the Public Prosecutor’s Office can charge someone with criminal market manipulation. In some cases, the CMVM may conduct preliminary investigations of crimes, although the investigation must ultimately be handed over to the Public Prosecutor’s Office for charges to be brought against the perpetrator. The Public Prosecutor’s Office also represents the Portuguese state in any civil claim against third parties (thus acting as ‘general attorney’). Since 2008, because of the financial crisis, there has been an increase in securities litigation in Portugal, particularly relating to the mis-selling of listed shares, bonds, commercial paper and interest-rate swap agreements. Most cases brought to court by investors against financial institutions relate to civil liability concerning the sale of negotiable securities and other financial products. These claims seek compensation for damages and are generally based on mis-selling and breach of duties of information. In broad terms, investors typically claim that the financial institution did not comply with its information duties, either having provided inaccurate or insufficient information or simply having omitted the required information, whether through fault or negligence. Further, claims seeking the annulment of sale and purchase agreements of securities have also become common in Portugal, specifically on the grounds of an investor’s error regarding the nature and risks of the securities or an abnormal change of circumstances caused by the financial crisis. Regarding interest rate swap agreements, it is frequently argued that they should be classified as a game of chance and therefore prohibited under Portuguese law, and that the sharp downfall of the interest rates caused by the financial crisis was an abnormal change of circumstances that allows the termination of the contract. Investors have also brought claims against issuers of securities for damages allegedly caused by misleading information concerning their financial situation, fraud and falsification of documentation. This was the case in high-profile cases, such as those relating to Banco Privado Português, Banco Comercial Português and Grupo Espírito Santo. Claims were also brought against auditors and the regulatory authorities, namely the CMVM and the Bank of Portugal, for breach of their corresponding duties, although most of these claims have since been rejected by the courts. In light of the resolution measures regarding Banco Espírito Santo (BES) and Banco Internacional do Funchal (Banif), Portugal has also been witness to a new wave of litigation directed at the Bank of Portugal, challenging said resolution measures. Litigation on criminal and administrative offences related to securities – but not the sale of securities – has also grown in the past few years. In these proceedings, in addition to crimes such as insider dealing and market manipulation, the main charges relate to fraud, false accounting and improper management. 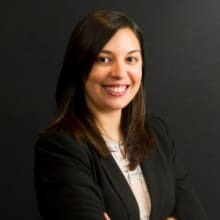 This has been the case in high-profile cases relating to various Portuguese banks, specifically Banco Português de Negócios, Banco Comercial Português and, most recently, BES. In litigation related to securities, criminal liability is usually attributed to directors or representatives of the entity issuing the security, although legal entities can also be held criminally liable in Portugal for some crimes such as misleading advertising, fraud, false accounting and schemes to manipulate market prices. In light of the recent high-profile cases, the Securities Code’s criminal framework has been amended.2 For instance, the crime of market manipulation has been amended in order to reflect new types of markets and phenomena, such as benchmarks, emission licences or spot commodity contracts. The crime of insider trading has also been amended and now includes other types of criminal acts, such as the cancellation or the amendment of an order, or the attempt to cancel or amend an order. In addition, the amendments to the Securities Code have introduced a new type of crime that consists of using false or misleading information for the capture of investment. This is punishable with imprisonment from one to six years, or, if any investment is effectively captured, from two to eight years. In Portugal, private enforcement securities actions are typically brought by investors for contractual or non-contractual liability or seeking the annulment of contracts. In liability claims, investors usually claim compensation for damages, arguing that the financial institution did not comply with its information duties. In these cases, the plaintiffs must allege and prove that: (1) no information was provided or that the information provided was inaccurate or insufficient through the fault or negligence of the financial institution; (2) they suffered real and actual damages; and (3) the damages were caused by inaccurate or insufficient information or a lack of information. In actions for annulment of contracts, investors commonly argue that there was an error regarding the nature and risks of the contract or an abnormal change of circumstances. Should the plaintiffs prevail, these actions result in the annulment of the contract and, consequently, in the mutual restitution by the parties of the corresponding consideration exchanged. The defence in securities litigation matters is generally grounded on the adequacy of the product to the investor’s profile, the information provided during the sale, the specific documentation signed by the investor and the information made available after the contracting process. The statement of defence of the financial institutions usually focuses on, first, proving that all the duties of information were duly complied with and second, that the institution acted as a mere financial intermediary, without any private interest in the transaction. Financial institutions claim that the investors fully understood the transaction, were not in error regarding the nature and risks of the contract and argue that the contracts are valid pursuant to Portuguese law. Additionally, financial institutions argue that the financial crisis or the sharp fall in interest rates does not qualify as an abnormal change of circumstances. Financial institutions commonly invoke multiple objections such as statutes of limitation of civil liability, abuse of rights and the existence of an arbitration agreement. The Securities Code explicitly grants standing to non-qualified investors, associations for the defence of investors and foundations created for the protection of investors to bring class actions for the protection of collective or individual homogeneous interests of non-qualified investors in financial instruments. If the financial institution is found liable for damages in the class action, it must indicate the entity – a guarantee fund, an association for the defence of investors or one or more of the investors identified in the action – that will be in charge of receiving and managing the compensation due to all investors that could not be individually identified. Civil judicial proceedings are initiated by means of a written petition. The plaintiff must argue the material facts constituting the cause of action. For example, if the claim seeks compensation on the grounds of breach of information duties, the plaintiff must allege that the financial institution did not comply with the corresponding duties, that the financial institution acted with fault or negligence, that those circumstances resulted in damages to the plaintiff, and, lastly, that there exists a causal link between the damages and the breach of information duties. Subsequently, the defendant must present its defence, either asserting that the facts alleged by the plaintiff are not true, do not produce the consequences claimed by the plaintiff or that the plaintiff’s petition must be dismissed for some other circumstance, such as a legal objection. For instance, the defendant may argue that it did, in fact, provide all information required by law or that the plaintiff’s petition for compensation must be dismissed because of the statute of limitations. The defendant may file a cross-complaint, in which case the plaintiff may reply. The plaintiff and the defendants must file their requests for evidence along with the legal briefs. In civil proceedings, parties having the burden of proof are required to disclose documents and information that support their claims or defence. Unlike the common law system, Portuguese law does not provide for a disclosure or discovery phase. Further, Portugal lodged a reservation to the Hague Convention with regard to the taking of evidence in civil and commercial matters, declaring that it will not execute letters of request issued for the purpose of obtaining pretrial discovery of documents as practised in common law countries. Notwithstanding, the parties may request that the court orders that certain documents in the possession of the counterparty or of a third party are produced in order to prove facts alleged in the proceedings, which the court may do if it deems them relevant to the dispute. The pleadings phase is usually followed by a preliminary hearing in which procedural matters are discussed by the parties and decided upon by the judge. The parties may change their requests for evidence in the preliminary hearing. The judge may order specific documents to be presented by the parties or by third parties and may order expert reports to be made. The judge should also schedule the trial dates. Witnesses and experts are examined at the trial hearing. Subsequently, the parties present their closing arguments and the court issues the final decision. In litigation involving sums exceeding €5,000, the decision may be appealed. 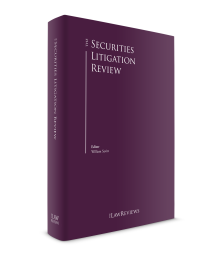 In addition, in recent years, arbitration proceedings related to securities litigation has increased. Portuguese arbitral proceedings tend not to differ significantly from judicial proceedings, which is to say that they usually have the same procedural phases as the former (i.e., a pleadings phase, followed by a preliminary hearing and, subsequently, by the trial hearing). Under Portuguese law, the parties may reach a settlement at any stage, provided that it does not affect inalienable rights. The claimant may also, at any time, waive its claim. If a court settlement is reached, the agreement must be judicially approved. The court will verify whether the settlement is valid and whether the signatories have sufficient powers to execute it. Under Portuguese law, there are no mandatory rules governing the payment of attorneys’ fees pursuant to a settlement. Judicial fees are usually borne by both parties in equal shares and each party bears its own attorneys’ fees. Pursuant to the Portuguese Civil Code, whoever causes damages to another person through wilful misconduct or negligence may be subject to contractual or non-contractual liability and, consequently, be ordered to pay compensation for damages. In securities litigation, damages usually refer to the losses suffered by the investor. For example, if the investor purchased bonds that lost their value because the issuer became insolvent, the financial intermediary could be ordered to pay the price of the bonds. In litigation relating to an interest rate swap agreement, the financial institution could be ordered to pay the negative financial flows of the swap agreement. Other common remedies sought by investors include the annulment of the contract, the termination of the contract and barring the financial institution from initiating enforcement proceedings, charging bank accounts or registering the debt in the Central Credit Register. Civil liability may also be sought through criminal proceedings. In fact, civil liability may be acknowledged and decided by the criminal courts when deciding a criminal case. In Portugal, there are two forms of public enforcement of securities actions: criminal proceedings and administrative offences proceedings. Public securities actions are brought against the perpetrator by the Public Prosecutor’s Office or by the CMVM. In some cases, the issuance or sale of securities may have consequences in the financial institution accounts or financial ratios, and – if there is a breach of the respective governing rules – the Bank of Portugal may also initiate enforcement proceedings. For example, if the financial institution sells bonds and guarantees payment or interest but does not register that liability in its accounts, it may be subject to administrative proceedings for having false or inaccurate accounts. Hence, although the CMVM is the regulator empowered to supervise the securities market, the Bank of Portugal may have an indirect intervention. In Portugal, the Public Prosecutor’s Office has exclusive powers to bring criminal charges regardless of the nature of the crimes although, in some cases, administrative regulators may conduct preliminary investigations of crimes (e.g., the CMVM may investigate the crime of market manipulation). Ultimately, however, the investigation must be handed over to the Public Prosecutor’s Office for charges to be brought against the alleged perpetrator. Regulators can collaborate on the investigation and information may be shared between the enforcement agencies, with the exception of information and documents subject to privilege and information that can only be used for specific purposes (e.g., information obtained from a judicially authorised seizure for the purposes of prosecuting a crime may not be used in administrative offence proceedings). Proceedings for administrative offences may be brought by the CMVM and the Bank of Portugal for breaches of the Portuguese Securities Code and the Credit Institutions and Financial Companies Framework, respectively, within their enforcement powers, which allow the two organisations’ regulators to impose severe penalties and ancillary sanctions. The Public Prosecutor’s Office and the administrative regulators may – and do – simultaneously investigate the same entities for similar or identical facts. Although there is no obligation for these government entities to coordinate their investigations, all regulators must report to the Public Prosecutor’s Office if they suspect a crime has been perpetrated. In recent cases, the Public Prosecutor’s Office and the administrative regulators have investigated and sanctioned very similar – if not identical – facts. For instance, forged accounts have concurrently been considered a crime (forgery of documentation), an offence sanctioned by the Bank of Portugal (breach of the duty to report the true financial situation of a bank) and an offence sanctioned by the CMVM (introducing false information to the market). This situation has raised public concern on the basis of potentially breaching the ne bis in idem rule. Criminal investigations must be initiated by the Public Prosecutor’s Office when it acquires knowledge that a crime or offence has been committed, whether directly or on account of a report. It should be noted that the mere reporting of a crime is sufficient for the Public Prosecutor’s Office to open a criminal investigation, unless the report is anonymous, in which case an investigation may only be initiated if there is evidence of the commission of a crime. With regard to securities-related criminal prosecution, once the investigation phase has terminated, the Public Prosecutor’s Office must decide whether to charge the alleged perpetrator or close the proceedings. If the alleged perpetrator is charged, it may then request that a judicial investigation phase be opened and conducted to ascertain whether or not it should be charged and subject to trial for the relevant crime. If the judge renders a charging decision, the accused party must then present the corresponding statement of defence and will subsequently be subject to trial, upon the termination of which the judge will render a decision. That decision may generally be appealed to a superior court. Administrative offence proceedings, which are brought by the relevant administrative regulator, are initiated with an investigation. If evidence of an offence is collected, the regulator issues an accusation. In recent cases, the administrative regulators have come under fire for not presenting their evidence, which is usually composed of tens of thousands of pages of documents, in a systematic, coherent and organised form, to an extent that if foregoes the defendant’s right of defence. In fact, the court with exclusive jurisdiction on competition, regulation and supervisory matters recently decided to annul the Bank of Portugal’s accusation and subsequent final decision in a high-profile case on the grounds that the defendant’s right of defence had been violated owing to the way in which the Bank of Portugal presented its evidence.3 Although the Public Prosecutor’s Office has since appealed that decision, we expect to see a change in the way in which these proceedings are conducted. After being served the accusation, the defendant must then file the corresponding defence and its request for evidence. The regulator will produce all evidence it deems relevant. Afterwards, the regulator will render its final decision. If not acquitted, the defendant may appeal to a court with exclusive jurisdiction on competition, regulation and supervisory matters. It should be noted that, in recent years, there had been outrage in Portuguese public opinion at cases in which bankers have been acquitted on the grounds of the statutes of limitation. The perception that bankers were always left unpunished is putting pressure on the administrative regulators and courts to render convictions. However, the pressure of the public opinion has raised fears regarding the impartiality of the decisions and the full respect of defendants’ rights. This has been especially the case in the recent high-profile cases relating to Banco Privado Português, Banco Comercial Português and Grupo Espírito Santo, regarding which the administrative regulators have also been accused of (mostly by investors) breaching their corresponding duties. Those cases have particularly raised concern among lawyers and scholars on the impartiality of the administrative regulators considering that, during the administrative phase of the proceedings, the administrative regulators have the exclusive power to investigate, accuse, produce the evidence they deem fit and render a final decision, which can lead to the enforcement of millions of euros in penalties. Under Portuguese law, it is not possible to settle securities claims within criminal and administrative offence proceedings. Currently, only the Portuguese Competition Law allows a settlement with a guilty plea as an alternative to prosecution. Nevertheless, the Bank of Portugal and the CMVM may agree to issue an opinion on the sanction likely to be applicable in the event of a guilty plea and the full cooperation of the perpetrators, thus allowing the latter to weigh their options. In addition, the Securities Code has recently been amended, establishing a new regime for a reduction of the penalty based on a system of confession and collaboration of the defendant. The maximum and minimum limits of the applicable penalties and ancillary sanctions may be reduced by one-third if the defendant (1) confesses to the facts; (2) provides relevant information in order to reveal the truth of facts; or (3) effectively assists in the production of evidence that is decisive for establishing the facts or for identifying other perpetrators. The maximum and minimum limits of the applicable penalties and ancillary sanctions may be reduced to half if the defendant simultaneously confesses to the facts and collaborates with the authorities in the revealing the truth of the facts and identifying other perpetrators. The Portuguese Criminal Procedure Code also establishes that the Public Prosecutor may – subject to the judge’s authorisation – stay the proceedings for crimes punishable with a maximum five years’ imprisonment for a certain period as long as the defendants comply with specific injunctions. If the injunctions are satisfied and the defendant does not commit a similar crime during the period of stay, the proceedings are definitively closed. This possibility has rarely, if ever, been used in securities enforcement actions. In securities-related criminal proceedings, the perpetrators are subject to imprisonment or to the payment of fines. Factors that help determine the applicable penalty include the severity of the infraction and its consequences, the intensity of the perpetrators’ fault or negligence, the personal and economic conditions of the perpetrators, and recidivism. In administrative offence proceedings, the CMVM may impose severe fines and ancillary sanctions. The catalogue of penalties for administrative offences subject to the Securities Code has recently been amended, with a notable increase in the amounts of penalties. For instance, penalties applicable to less serious misconducts have doubled from a minimum of €2,000 to €5,000 and a maximum of €500,000 to €1 million. In any case, the amount of the applicable fine depends on the severity of the infractions, subject to a maximum of €5 million. However, this amount can be increased up to a maximum of 10 per cent of the perpetrator’s turnover, with the exception of the offences resulting from market manipulation and the use or transmission of inside information, which are punishable by a fine up to 15 per cent of the turnover of the infringing entity. In any case, the penalty may be increased up to triple the economic gain of the perpetrator. Ancillary sanctions may also be applied for crimes or administrative offences, the most relevant of which include publication of the decision at the expense of the perpetrator, loss of economic proceeds from the offence, temporary suspension or definitive prohibition against carrying out the activity underlying the offence, prohibition from entering into specific contracts or entering into contracts with specific entities; exclusion from public subsidies and aid, and closure of the commercial establishment. The catalogue of ancillary penalties has also been amended, in order to include the prohibition of trading on one’s own account, and the cancellation of registrations or the revocation of authorisations for the exercise of management, directorship or supervisory functions in entities subject to the supervision of the CMVM. The determination of the fine and ancillary sanctions depends on the material illegality of the act, the agent’s negligence, the benefits obtained and the prevention requirements. The following circumstances, among others, are taken into consideration when determining the material illegality of the act and the negligence of legal and similar entities: (1) the danger or damage caused to investors or the market for securities or other financial instruments; (2) the sporadic or repeated nature of the offence; (3) any concealment of acts tending to impair discovery of the offence; and (4) the existence of acts by the agent, at the agent’s own initiative, aiming at curing the damages or mitigating the dangers caused by the offence. The following circumstances are taken into consideration when determining the material illegality of the act and negligence of natural persons, beside those relevant to legal entities: (1) the level of responsibility, scope of functions and role in the legal entity; (2) the intention to obtain, for itself or another entity, an illegitimate benefit or damages caused; and (3) the special duty to not commit the offence. In the determination of the applicable sanction, the agent’s economic situation and previous and subsequent conduct are also taken into consideration, such as his or her collaboration with the CMVM or the court. Lastly, the Securities Code has also been amended in order to specify that the administrative liability of a legal person is only excluded when its agent acts against precise and specific orders or instructions, which were transmitted to the agent in writing before the commission of the infraction. As a general rule, Portuguese entities only have jurisdiction with regard to securities-related matters that occurred in Portugal. Thus, in principle, private or public enforcement proceedings will only be brought against entities exercising their activities in Portugal and with regard to criminal or administrative offences perpetrated in Portugal. Notwithstanding the above, the Portuguese Securities Code establishes rules that require mandatory application, namely, that are applicable to cross-border situations that would otherwise be subject to foreign legislation pursuant to the general Portuguese conflict-of-law rules. These rules are applicable to cross-border situations to the extent that a material connection can be established between the specific circumstances and the Portuguese jurisdiction. For this purpose, the material connection to the Portuguese territory is considered to exist when: (1) orders are addressed to members of regulated markets or multilateral negotiation systems registered with the CMVM, and operations are carried out in those markets; (2) activities are carried out, and acts are performed in Portugal; or (3) the diffusion of information that is made accessible in Portugal makes reference to situations, activities or acts regulated by Portuguese law. On the other hand, pursuant to EU Regulation No. 1215/2012 (Brussels I bis) Portuguese courts have jurisdiction in civil and commercial matters when the contractual parties have agreed to submit their disputes to Portuguese courts or when the respondent, irrespective of nationality, is domiciled in Portugal. A defendant domiciled in another EU Member State may be sued in Portugal in the following cases: (1) when the contract in which the claim is based was performed in Portugal; (2) in tortious matters when the harmful event occurred in Portugal; (3) when civil liability stems from criminal proceedings held in Portugal; and (4) under certain circumstances where there is more than one respondent and one is domiciled in Portugal. Notwithstanding the above, defendants not domiciled in an EU Member State may be sued before Portuguese courts in two circumstances relevant to securities litigation: (1) when the dispute is connected to the operations of a branch, agency or other establishment situated in Portugal; and (2) when disputes arise out of contracts with consumers that are domiciled in Portugal, provided that the other party pursues commercial or professional activities in Portugal. The past five years have seen an exponential increase in securities-related litigation in Portugal, with interest-rate swap agreements, the Espírito Santo/Banco Espírito Santo (GES/BES) groups and Banif claiming the limelight. Numerous cases against banks and financial intermediaries continue to be brought to court by private investors, in particular regarding interest-rate swaps executed before the financial crisis and the resulting tumbling interest rates. Although Portuguese courts have not always been unanimous in their decisions,4 there is now a general consensus that the effects of the financial crisis do not constitute an abnormal change of circumstance for these purposes (including several decisions of the Portuguese Supreme Court). In this respect, it should be noted that in the case filed against Portuguese state-owned transport companies in 2013 by Banco Santander Totta (after the aforementioned public transport companies unilaterally deemed the swap agreements entered into with the bank invalid and suspended the contractually due payments), the Commercial Court of London ruled in favour of the bank. Albeit having considered that English law applied to the agreements in question and found that Banco Santander Totta had duly counselled the state-owned transport companies prior to the execution of the agreements, the Court considered that the global financial crisis was an abnormal change in circumstances, and that the transport companies would have been able to terminate most of the contracts if Portuguese law had applied. This decision was upheld by the court of appeal. The transport companies applied for permission to appeal to the Supreme Court, having settled the dispute in 2017. The transport companies subsequently waived the request for appeal and undertook the obligation to pay the outstanding amounts and to comply with the swap agreements, and Banco Santander Totta provided finance to the Portuguese state in the amount of €2.3 billion at a discount interest rate. On the other hand, the resolution measure applied to bank BES continues to be a fruitful source for securities-related litigation. In 2014, and upon the near insolvency of the bank BES, the Bank of Portugal decided to use an unprecedented resolution measure and split the bank into two: BES (the ‘bad bank’), left with all liability to shareholders and subordinated creditors, and the Novo Banco (the ‘good bank’), which retained the majority of the assets. In December 2015, the Bank of Portugal ‘amended’ the resolution measure previously adopted in 2014, by ordering the ‘retransfer’ of certain Novo Banco senior bonds worth approximately €2 billion to BES, the bad bank. In addition, on 13 July 2016, the European Central Bank revoked BES’s banking licence, thus leading to its liquidation, which gave rise to an increase in litigation. In light of the GES/BES crisis and the consequences of the resolution measure and liquidation proceedings, institutional investors, retail investors, investor associations, shareholders and subordinated creditors brought several civil liability proceedings against BES and its directors and auditors, and against Novo Banco in relation to several types of securities of Espírito Santo Group companies (that were allegedly already insolvent) sold prior to the resolution measure, namely commercial paper and bonds (the liability for which was left with the bad bank). According to news reports, between July and September 2016 alone, around 400 civil proceedings were filed by BES investors against the bank, its directors and the regulatory authorities, and many more have been filed since. 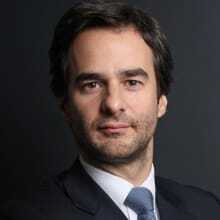 Institutional investors have also brought claims against the regulatory authorities, namely against the Bank of Portugal, with a view to challenging both the original resolution measure and the December 2015 retransfer decision (as it may be considered to affect the principle of equal treatment of creditors within their respective rankings); in particular, two class-action suits have been filed by hundreds of BES investors against the Bank of Portugal with a view to challenging the aforementioned retransfer decision. Moreover, Citadel has also challenged the decision, while BlackRock and Pimco, who, jointly, held BES senior bonds worth more than €480 million, have threatened to sue the Bank of Portugal. This litigation is still ongoing, and it is expected to continue in the years to come. An association for the protection of the bond and commercial-paper investors was created and on 30 March 2016, along with the Portuguese government, the CMVM, the Bank of Portugal and BES signed a memorandum of understanding with a view to finding a solution to minimise the losses of the investors who subscribed to GES’s bonds and commercial paper. The incorporation of a fund by means of which the investors shall be partially compensated is currently underway. Furthermore, in late 2015, the Portuguese government and the Bank of Portugal decided to sell Banif’s business and most of its assets and liabilities to Banco Santander Totta.7 The sale was carried out in the context of a resolution measure, similar to that applied to BES. This time, the relevant resolution measure involved the splitting of the bank into three: the good bank, which retained the business and the majority of the assets that were sold to Banco Santander Totta; some assets with a potential for recovery, which were attributed to Oitante; and the bad bank. The latter was left with all liabilities to shareholders and subordinated creditors. Prior to the public intervention, Banif’s subordinated debt had also been issued to retail investors. Several of Banif’s shareholders and bondholders have already filed an action against the Bank of Portugal, the Ministry of Finance, Banco Santander Totta, the Resolution Fund, Oitante (which retained the toxic assets) and the European Commission’s Directorate General for Competition, as well as all of Banif’s and Banco Santander Totta’s directors, with a view to challenging the resolution measure. Further litigation challenging Banif’s resolution measure has since emerged and is expected to continue. Pursuant to the acquisition by Banco Santander Totta of the majority of Banif’s assets, several investors have initiated securities litigation against Banco Santander Totta, mostly relating to the mis-selling of bonds on the grounds that investors were misled regarding the nature and risks of the securities, or on account of an abnormal change of circumstances caused by the financial crisis. Lastly, there was a significant increase in litigation regarding bonds issued by Portugal Telecom International Finance BV (PTIF), the company that issued most of the Group PT bonds. In 2015, PT Portugal SGPS, SA was sold to Altice, whereas PTIF remained as a subsidiary of Oi SA. When the Oi group filed for insolvency, the bonds issued by PTIF became worthless. Clients are suing banks for mis-selling the PTIF bonds. Following the BES’ investors’ example, an association for the protection of the PTIF bond investors has also been created, and it recently announced that it had reached an agreement with InvestQuest, a wealth and asset management company, allowing investors that have not adhered to Oi’s creditors’ plan, holding over about €13,000 in PTIF bonds to sell their bonds at a price equal or superior to 50 per cent of the nominal value. Securities litigation in Portugal has been largely influenced by the financial crisis, the GES/BES crisis and the Banif resolution measure, and this seems to be a continuing trend. On one hand, although the rate of new proceedings related to interest-rate swap agreements has died down in the past year, the continued lack of consistent decisions by the Portuguese courts is sure to continue to give rise to new proceedings being filed. On the other hand, the GES/BES crisis, the Banif resolution and the recent PTIF bond problem have generated a substantial number of disputes in the last few years, most of which are still pending in the first instance courts. We expect that the outcome of these disputes will determine the scope of securities litigation in Portugal in the years to come. In the mean time, we anticipate that securities litigation brought by investor associations, retail investors, shareholders and subordinated creditors against the banks and their directors will continue to be a growing trend. The outcome of the litigation against the Bank of Portugal with a view to challenging the retransfer decision by Novo Banco/BES, and the Banif resolution measure, which are also still pending, is mostly likely to shape future litigation in this regard, as well as any resolution measures. From a regulatory and supervision standpoint, although we have yet to see improvement in the effectiveness of said supervision – notwithstanding the implementation of the Single Supervisory Mechanism – as well as significant reinforcement of the powers of Portuguese regulators over the financial sector, with a view to strengthening their capacity and effectiveness, we expect to see further developments in this regard. Lastly, several new administrative offences proceedings relating to securities transactions have been brought by the CMVM and by the Bank of Portugal against numerous entities, and we expect this trend to continue in the following years. 1 Nuno Salazar Casanova is a partner and Nair Maurício Cordas is a senior associate at Uría Menéndez – Proença de Carvalho. 2 Law No. 28/2017, of 30 May, which amended the Securities Code and Decree-Law No. 357-C/2007, of October 31, which transposed the new Market Abuse Directive (Directive 2014/57/EU of the European Parliament and of the Council of 16 April 2014 on criminal sanctions for market abuse) and adapted Portuguese law to the Market Abuse Regulation (Regulation (EU) No. 596/2014 of the European Parliament and of the Council of 16 April 2014 on market abuse). 3 Notwithstanding having provided the defendants with a DVD containing tens of thousands of documents, the Bank of Portugal had simply indicated that the relevant evidence was all documents included in the proceedings, without identifying what those documents might be or making reference to the same in the facts alleged in the accusation. 4 In a landmark case dating back to 2013, the Portuguese Supreme Court held that the abrupt fall in the interest rate constituted an abnormal change in circumstances, on the basis of which the parties had executed the agreement. See decision dated 10 October 2013, proceedings No. 1387/11.5TBBCL.G1.S1. 5 Decision dated 29 January 2015, proceedings No. 531/11.7TVLSB.L1.S1. 6 Decision dated 11 February 2015, proceedings No. 309/11.8TVLSB.L1.S1. 7 This followed the failed attempt by Banif’s shareholders and its board of directors to sell the bank, and the European Commission’s decision in December 2015 to commence an in-depth investigation procedure into the state aid received by Banif (which could have led to said aid being considered illegal and requiring reimbursement of the aid).